← Another Earthquake. At School, This Time. It’s been a long time that I haven’t written any blog post. I miss it. The days before, I was busy preparing children report and also preparing our departure to Singapore for an intensive internship program with the Madrasah Al Irsyad Singapore. In addition there were also various other matters that can not wait to do. It just have to be done. Alhamdulillah, all my students in P2 Ihsan, my previous class, were passed to higher grade. 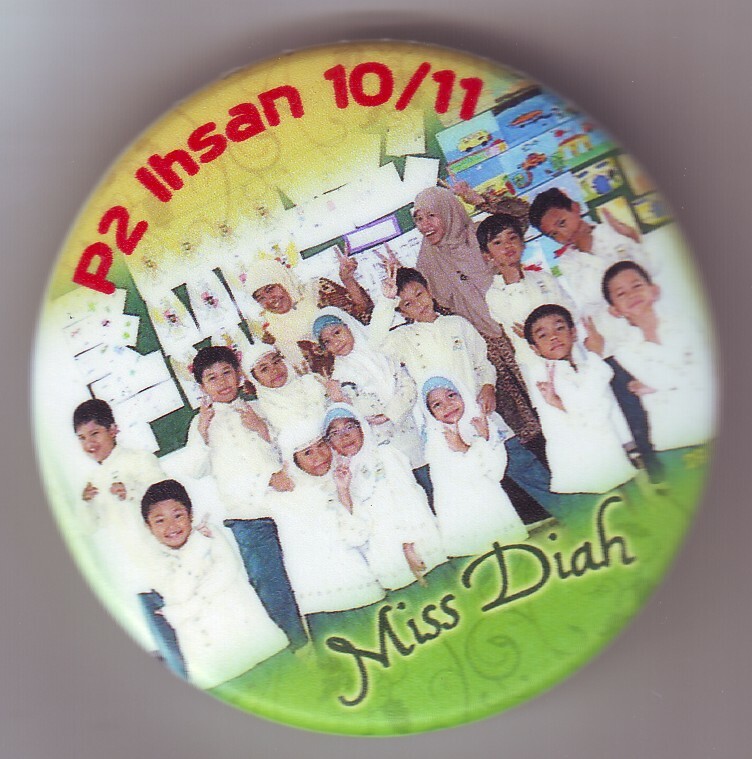 Their performances were up and down, but there were always time when they worked hard, study hard, or play like mad 😦 For all the good times we had in P2 Ihsan together, I gave them pins. With pictures of all of us in it, and personalize it with our own names. So all have one on their own. Looking at those cute faces and expressions, um… cute weren’t they? I miss them already. Hope you all learn more diligently in Primary 3, will you kids? This entry was posted in School Event and tagged Al Irsyad Satya, my students, pin, postaweek2011, Primary 2, progress report, school. Bookmark the permalink.